A large deep upper trough centered over central Europe maintains its position with several embedded vorticity maxima rotating over Mediterranean. 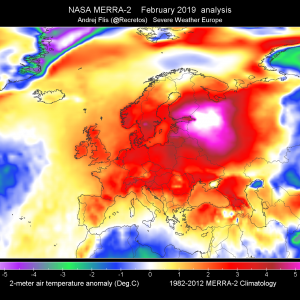 On the trough’s western flank, a very cold mid-levels spreading south from North Sea towards NW Mediterranean, while a surface low over N Sea gradually weakening while moving into France. A new surface low forms in the lee of the Alps over N Italy. A new potent trough with rapid cyclogenesis takes place N of Iceland. 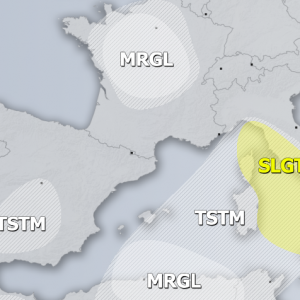 A MDT risk has been issued for SE Adriatic sea into Montenegro and W Albania with threat for torrential excessive rain, severe winds and some tornado / hail threat. Locally very high rain amounts are possible. 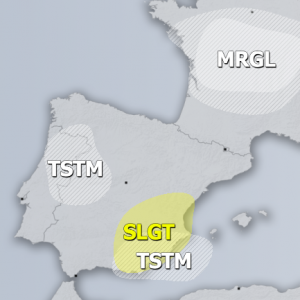 A MDT risk has been issued for S Greece and W Crete into S Mediterranean with threat for tornadoes, severe winds, torrential excessive rain and large hail as a strong DCVA crosses southern Mediterranean. 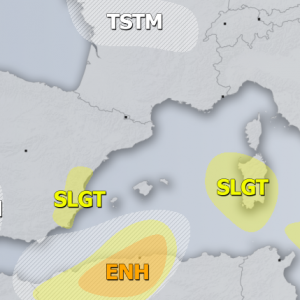 A SLGT+ risk has been issued for N Italy with threat for excessive rain. Area will be monitored for possible upgrade into MDT risk on DAY 1 outlook. A SLGT+ risk has been issued for southern Tyrrhenian sea into parts of S Italy with threat for torrential escessive rain and severe winds. Area will be monitored for possible upgrade into MDT risk on DAY 1 outlook.